Click the button below to add the FN018 (AA 13mm Freshwater Pearl Necklace 14k White gold clasp) to your wish list. 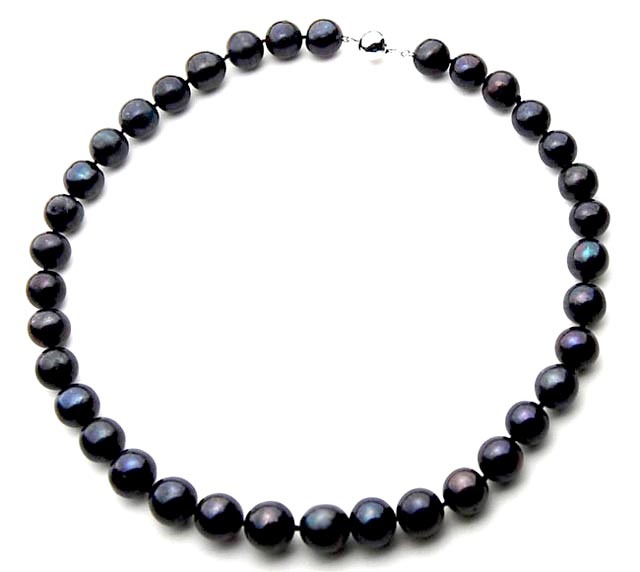 11-13mm AA Quality Black Freshwater Culture Pearl Necklace With 14K (585) White Gold Clasp. 38cm(15inches) Long.